Model codename: Fishstix aka Bog Trog Mist Speaker now has some statisticles. EXCLUSIVE: Warmachine: NEW Convergence Colossal Sprues Teased! Look who decided to show some leg today, 4 legs-ish. New teaser for the CoC today showing off their double Colossal. Some say lackluster, some say Skorneluster! Anyway no matter what the community says he will always be better than Sturgis. Guess we won’t know till we see the whole card, anyway here’s the teaser. Oh, yes! I kept waiting for someone realizes this picture as a model. 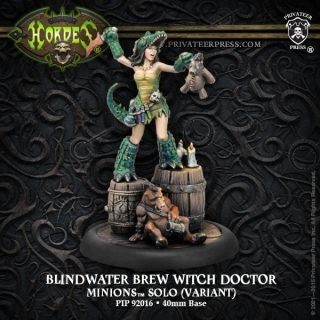 Every though that the Gator Lass looks good enough to drink, now you can with this Privateer Press insipired beer at gencon. Drink that down with some of these concept sketches found for the Gencon Exlclusive Gator Lass.